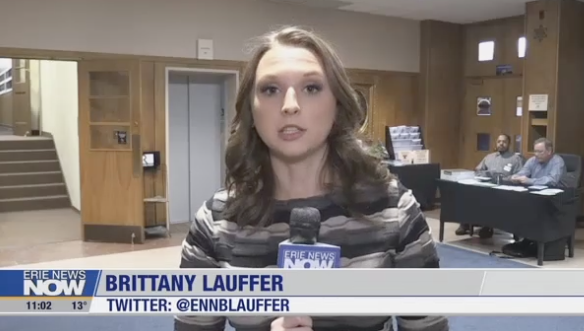 Brittany Lauffer (Erie News NOW) covers ErieCPR's Viaduct Town Hall at the Jefferson Educational Society — Why Save the Viaduct? To Keep Kids Safe. "Fixing the Viaduct is like buying a good used car." "The Viaduct is a crucial artery on the Eastside." "This Town Hall is the first public forum on the issues surrounding the removal of the bridge." Brittany Lauffer reports the story, films the story and edits the story! 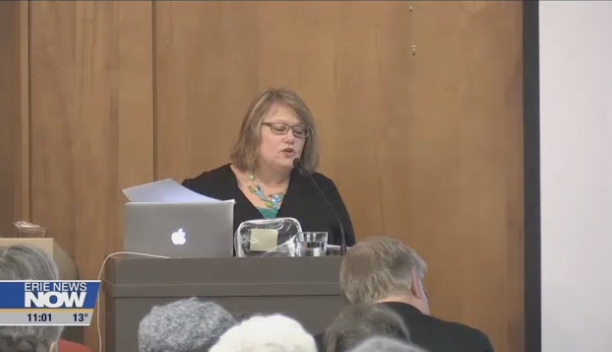 Lisa Austin explains that the Viaduct was planned by the pastor of St. Ann's Church on East Ave., Monsignor Lawrence McBride, in collaboration with Mayor Charles Raycroft Barber, (patriarch of the family that established the Barber Center on East Ave) over the loud objections of nearby businesses (who feared damage to their buildings) and the PUC (Public Utilities Commission) that then, as now, objects to almost everything. 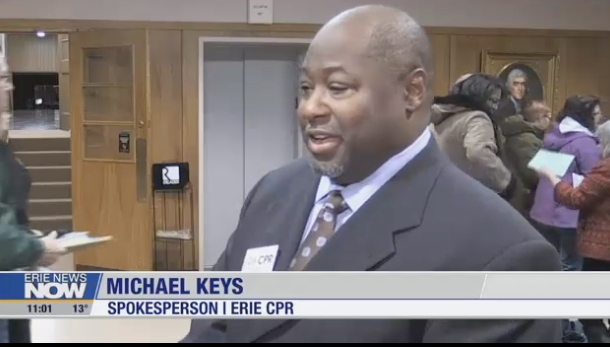 Erie News Now story on the Viaduct Town Hall, Jan. 16, 2018. Newer PostErie Times-News "Guest View" by ErieCPR member rebuts editorialist's column urging demolition of McBride Viaduct.